As many of you know, the area's premier gluten-free event, Appetite for Awareness, has been a fall affair in years past. 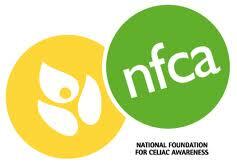 However, due to venue and scheduling considerations, the National Foundation for Celiac Awareness is considering holding Appetite in Spring 2012. In the meantime, the NFCA is hosting a major donor event at a private home on Tuesday, October 18 honoring Dr. Ritu Verma of the Children's Hospital of Philadelphia, a familiar name to the Philadelphia gluten-free community. Chef Marc Vetri (Vetri, Osteria, Amis) will be the special guest, with chef demos by Brad Spence (Amis) and pastry chef Monica Glass (10 Arts Bistro & Lounge) and gluten-free fare by Wolfgang Puck Catering accompanied by a wine tasting. If you would like to learn more about becoming a sponsor or purchasing a ticket, please contact the NFCA's Nancy Ginter. Earlier this week, I wrote about Dogfish Head's new gluten-free beer that will be available in bottles by the end of the year. All menu items at Cantina Diablos Mexican Grill in Ardmore (2330 Haverford Ave., 610-642-1370) can be made gluten free. The area's second Firebirds Wood Fired Grill is now open in Chadds Ford, at the Garnet Valley Plaza Center (91 Wilmington West Chester Pike, 484-785-6880). The restaurant has a gluten-free menu. Seasons 52 Fresh Grill's two area locations - at the malls in King of Prussia and Cherry Hill - have set their Fall 2011 gluten-free menu. Reader Kelly R. let me know that Fuel's Center City Philadelphia location (1225 Walnut St., 215-922-FUEL) is serving gluten-free chocolate fudge cake in addition to panini. Some recent restaurant closings: Philadelphia's Adsum and Ry's Bagels in Berlin, New Jersey. Sweet Christine's gluten-free baked goods will be available at Eagles home games this season. They can be found at the concession stand behind Section 117 at Lincoln Financial Field with other gluten-free fare. 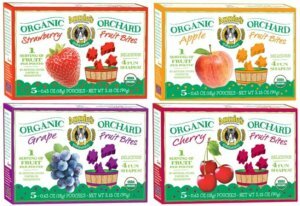 Now at Whole Foods stores are Annie's new Organic Orchard Fruit Bites. Available in grape, strawberry, apple and cherry, the Fruit Bites contain one serving of fruit in each pouch. The fruit snacks are naturally gluten and gelatin free, are vegan, and contain no artificial colors, flavors or preservatives. JD's Best Pizza is now available at Martindale's Natural Market in Springfield. Thanks to reader Dana M. for the tip. Food for All Market in Mt. Airy will have Feel Good Foods' gluten-free dumplings available for sampling on Sunday, September 25 between 11 a.m. and 3 p.m.